​West Ham could be set for yet another high-profile addition to their squad, as Manuel Pellegrini is reportedly considering Chelsea striker Olivier Giroud as a potential attacking option for his side. The Irons have been no stranger to making attacking additions in Pellegrini's early months in charge, adding Felipe Anderson and Andriy Yarmolenko to their ranks in the summer. According to the Mirror, they are now tempted by the French target man who has less than a year remaining on his current deal. 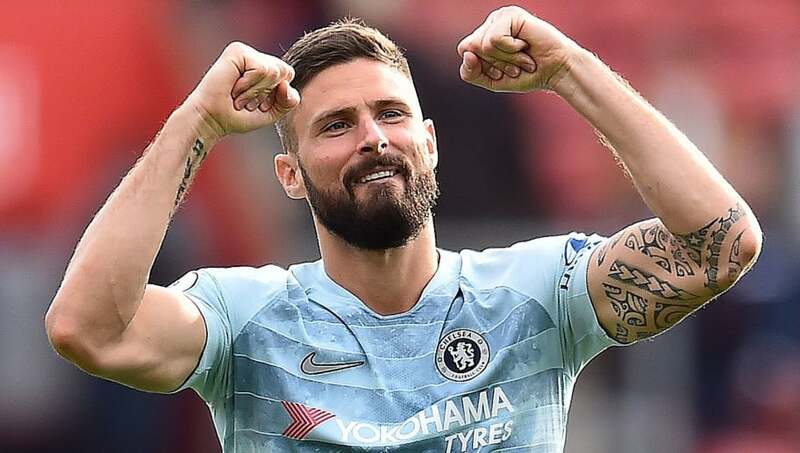 ​Giroud, who featured heavily for his country as they won the 2018 World Cup, joined ​Chelsea from ​Arsenal in controversial fashion in January, and has scored five goals in 26 appearances for the west London club. He has established himself as Chelsea's first choice striker in recent weeks, acting as an effective foil to the prolific ​Eden Hazard, but there has been no word yet on whether they are to start talks on a new deal - opening the door for the Hammers to negotiate a cut-price deal. I'm honestly relieved that we ended up with Olivier Giroud over Edin Dzeko in January last season. Giroud's turned out to be a really impactful player, stepping in as the main striker whenever need be. Massive coup. Chelsea paid £18M to secure his services, but it is unlikely West Ham would have to meet that valuation for a 32-year-old with whom they would be able to negotiate a free transfer in the summer. Central to West Ham's revived interest in the Frenchman is the situation surrounding ​Andy Carroll, whose contract is also up in the summer. The former Liverpool striker is out with the latest in what has become a tragically long list of injuries, and the club are considering whether or not to extend his deal by a further two years, as they have the option to do. It seems unlikely that they would keep Carroll around long-term if Giroud's arrival is indeed an option, given that ​Marko Arnautovic is currently on fire as their main central striker.